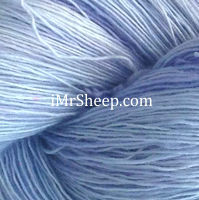 An incredible Merino wool for shawls and lace knits. 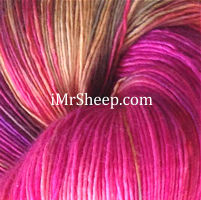 This ultra soft yarn is hand-painted in vibrant hues, and manufactured in untwisted 100g hanks. 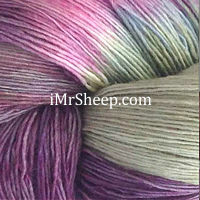 Please use a few threads to thick it up and make conventional clothing and accessories. 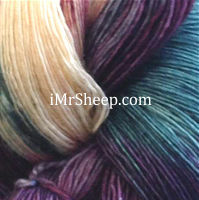 Yarn structure: singles (no plies). Garment Care: Machine wash on gentle cycle, or hand wash in cold water, dry flat. 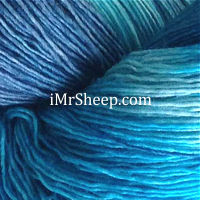 SHAWLETTE IN WINTER WATERCOLOURS © Irene & Mr. Sheep Co.